St. Mary’s Community Development Corp. invites former residents of Lexington Manor (aka The Flattops) and Carver Heights as special guests to the 2nd Cherry Blossom Festival at the ArtsPark, April 8, 2018. Students and staff of St. Mary’s College of Maryland partnered with the CDC to create a “genealogy of the community,” an informal collection of memories from those who spent a childhood, the duration of a lease, or even just a memorable afternoon one of these communities. One flattop has been preserved. Aerial maps prior to the razing of the homes in 2005 will be there during the festival. Stop in and put a pin on your old address. Share a memory. The festival is free and opens at noon with the Great Mills High School Hornets Marching Band and opening remarks by CAPT Jason Hammond, NAS Pax River CO.
Live music and dance will fill the afternoon as well as demonstrations and participatory opportunities for self defense, robotics, drumming, and boxing; and a large selection of art activities. Some activities are free, others run 2 to 10 tickets. Tickets are $1 apiece. Activities include mosaic, steam punk, rock painting, chalk art, water-color scarves, drumming, self-defense moves, and more. Leashed dogs are welcome. Dogs in costume will compete for a variety of gifts from local pet supply and service outlets. Vendors include artists and food trucks. 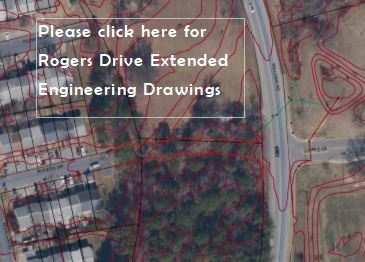 Parking is available in numerous lots off Tulagi Place and at the Lexington Park United Methodist Church on Great Mills Road. There is also parking at Lancaster Park which joins with the ArtsPark at the US Colored Troops Memorial. The Community Development Corp. produces the festival with numerous partners and sponsors including St. Mary’s College of Maryland, St. Mary’s County Arts Council, MedStar St. Mary’s Hospital, Naval Air Station, Patuxent River, MD; Old Line Bank; Cedar Point Federal Credit Union; Southern Maryland Toyota; Phil Riehl State Farm Insurance; and multiple agencies of St. Mary’s County including Economic Development, Public Works, Rec & Parks, and Corrections. Anyone interested in a vendor spot must be fully registered with the CDC by April 4, contact execdirector@stmaryscdc.org as soon as possible to reserve a spot. To leave a voice mail call 301-863-7700. 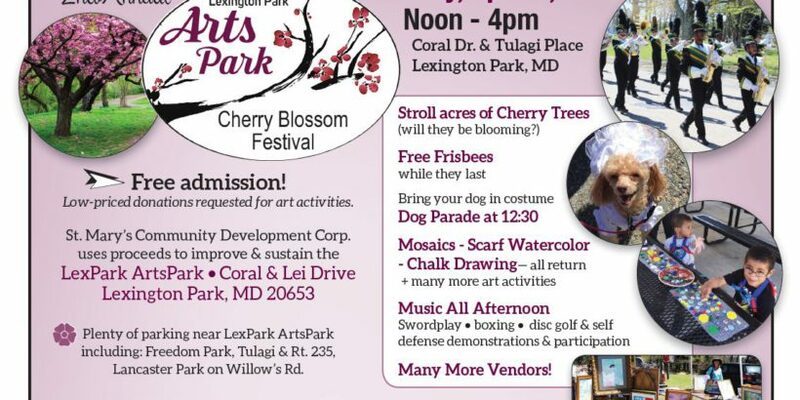 Visit our Facebook page at https://www.facebook.com/LexParkArtsPark/ for details and updates on the 2nd Annual ArtsPark Cherry Blossom Festival.